The very word conjures up images of scars, long periods of recovery, time off work and play, and depending on your circle of friends maybe feelings of shame, insecurity, and an innate sense of secrecy. However, this picture is coupled with the results: a more youthful appearance that cuts years off your life, a renewed inner feeling of beauty you haven’t felt since you were young, and a self-confidence boost that is sure to translate to all areas of your life. 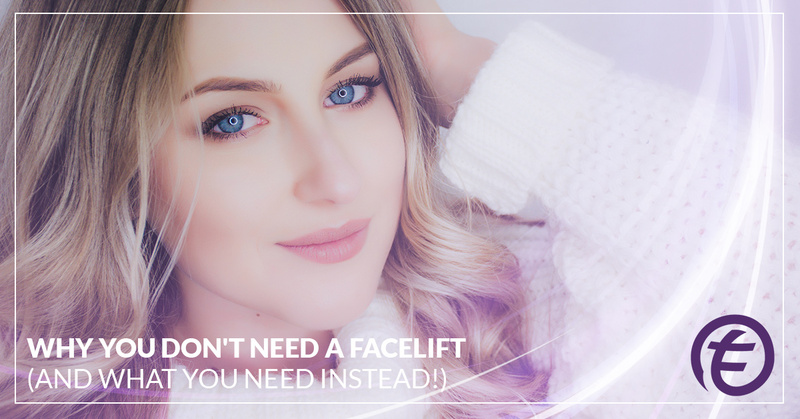 WHAT IS A FACE LIFT AND WHY IS IT NEEDED? When we’re born, we’re born with “baby fat”. This is a layer of fat that stems from the time of cavemen and is a survival mechanism. It helps human babies survive the lean times which was very prevalent millennia ago. As we age, this baby fat naturally disappears (after all, we’re through the stage where we’re likely to be killed by child-borne illnesses). For the face specifically, this layer of fat known as collagen is subcutaneous, lying directly under the skin. Collagen is a protein that promotes the elasticity of your skin and usually starts to break down in your mid- to late-20s. Good-bye chubby cheeks. And hello wrinkles. Wrinkles are an indication of our age. We continue to lose collagen throughout our lives, making wrinkles and line more and more prevalent–a sign of age. In today’s society, we unfortunately venerate the youth instead of our elders. Thus, anything we can do to look younger we believe will garner us more respect. And since our face is the first thing people see, we usually start there. A facelift is a surgical procedure that removes skin from the face. 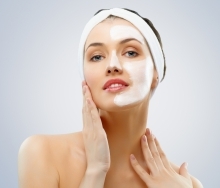 The remaining skin is then stretched over the face, effectively removing the wrinkles, sagging skin, and lines. A surgical facelift is not a forever solution as the signs of aging begin to set in once again. The average surgical facelift lasts 3-6 years depending on how extensive you elected to go but the effects can last about 10 years. For the best results, you need to follow the doctor’s orders in terms of aftercare. Like any surgery, you don’t leave the clinic or hospital fully healed and ready to pick up life right where you left off. It is an invasive surgery. Incisions are made which leave scars but are often hidden in the hairline and the ear canal. Like any surgery, a recovery time is mandated. For surgical facelifts, the average recovery time is three weeks before you can resume almost all of your previous activities. Physical exercise still needs to be kept to a minimum however. The incisions need to heal and be kept clean. There will be bruises and swelling of the face, around your eyes, and ears, which will last up to five weeks. Most likely to be recovered fully and see the full effects will be about a year. Expect to leave the clinic with surgical wrappings and possibly a drain. A compression wrap will need to be worn as well for a week or so after the wrappings are removed. Often surgeons neglect to mention ALL of these details for a surgical facelift because they are in the business of selling their services and once you leave the operating room, their job is 95 percent finished. We here at Tru Energy understand the need to feel invigorated, alive, respected, and good about yourself. Let’s face it: we all have to live in society (unless the nunnery is our calling), and we want to look our best and feel our best every day. We believe this is best achieved through a healthy lifestyle that includes a balanced diet and exercise. We also believe we can enhance your inner self through our products that will naturally and effectively unlock your body’s anti-aging potential to look and feel younger. Tru Energy developed its line of creams and cleansers to specifically target the deeper layers of skin that are frequently responsible for signs of aging to appear. We offer daytime and nighttime treatments both designed to maximize and protect you from the unique challenges of the sun and to maximize the time afforded us by our body’s natural restorative efforts at night. Tru Energy understands the inner workings of your skin and produces products to nourish, replenish, and rejuvenate this often-overlooked but oh-so-important organ of the body. Pair our creams and cleansers with our revolutionary facial toning device, the Energy-Optimizing Application Wand, for the best results. The Sonic Energy-Optimizing Wand or the Standard Energy-Optimizing Wand uses precise magnetic frequencies to redefine your face, reduce puffiness, lines, and wrinkles, lift sagging skin, erase folds and creases, and sculpt your jawline. This facial toning device also doubles as an acupuncture device. You can regain your youthful look without the hardships, risks, and interruptions to your lifestyle of a surgical facelift. Regular use of our at-home facelift system will maximize your results and boost your self-confidence and self-esteem the most. Visit Tru Energy online today!